As I have noted before, my latest obsession is Professor Jordan Peterson. His recent book, 12 Rules for Life: An Antidote to Chaos, is a tour de force in offering a way to live a good life. This is not the normal self-help book. This is the work of a deep philosophical thinker, practicing psychologicology research professor, practicing clinical psychologist, and practicing lecturing professor. He thinks about people, studies psychology, uses psychology, and teaches about people and psychology. For example, he understands that knowing what the rules of life and being able to follow them are not the same thing. It takes practice to be an actively moral person. RECENTLY, I WATCHED A THREE-YEAR-OLD boy trail his mother and father slowly through a crowded airport. He was screaming violently at five-second intervals— and, more important, he was doing it voluntarily. He wasn’t at the end of his tether. As a parent, I could tell from the tone. He was irritating his parents and hundreds of other people to gain attention. Maybe he needed something. But that was no way to get it, and his parents should have let him know that. You might object that “perhaps they were worn out, and jet-lagged, after a long trip.” But thirty seconds of carefully directed problem-solving would have brought the shameful episode to a halt. More thoughtful parents would not have let someone they truly cared for become the object of a crowd’s contempt. Peterson, Jordan B.. 12 Rules for Life: An Antidote to Chaos (Kindle Locations 2377-2383). Random House of Canada. Kindle Edition. In the chapter he goes on to explain that making a child welcome in the world-at-large is a big job for parents. If the parents like the child, because the child is well-behaved, when the child visits others’ homes or places of business, adults will greet the child warmly. This warm reception will make the child more likely to be well-behaved. Well-behaved kids tend to have an easier time making friends their own age. They are happier and more connected socially. Since we are social animals, this is important. This is both a powerful message to parents as well as scout leaders. “A scout is . . . helpful, friendly, courteous, kind, obedient, cheerful . . . .” This is a core message that we project to our scouts constantly. 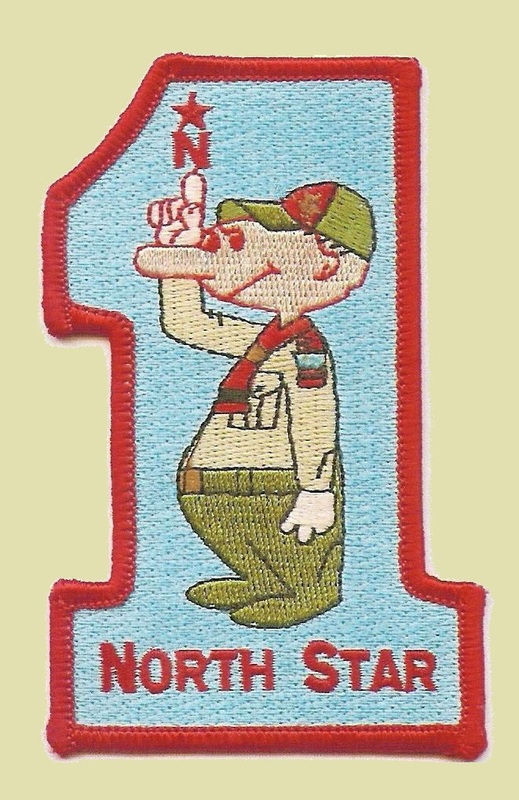 We all know 11-year olds joining a scout troop are often impulsive, brash, selfish, and noisome on campouts. Yet, we see these same scouts turn into young gentlemen by the time they sit for their Eagle Board of Review. How does it happen so predictably, especially when adolescent are notoriously self-centered, impulsive, brash, and smelly? Our mission in scouts is teach ethical behavior, citizenship, and physical fitness. So what is ethics and why does it happen so well in scouting? In the forward, Peterson’s friend reminds us about what it means to be ethical. Aristotle defined the virtues simply as the ways of behaving that are most conducive to happiness in life. Vice was defined as the ways of behaving least conducive to happiness. He observed that the virtues always aim for balance and avoid the extremes of the vices. Aristotle studied the virtues and the vices in his Nicomachean Ethics. It was a book based on experience and observation, not conjecture, about the kind of happiness that was possible for human beings. Cultivating judgment about the difference between virtue and vice is the beginning of wisdom, something that can never be out of date. Ibid. Kindle Locations 270-274. This simple reminder of Aristotle teaching that ethics was behavior leading to happiness in life fits well with American citizenship ideals. The “pursuit of happiness” is the purpose of ethics. Jefferson in the Declaration of Independence was not promoting “life, liberty,” and self-indulgence. He was promoting the protection of “life, liberty,” and the pursuit of an ethical life. Protection of the ability for an individual to pursue an ethical life and develop the wisdom and experience to judge the difference between virtue and vice are the essence of good government. So we know what the destination is, but how do we get there? How do we turn impulsive minions into good citizens? Professor Peterson’s view on the psychological development of children focuses on stories. Peterson suggests that our brains are wired to perceive stories before we understand our perceptions themselves. He uses the example of walking through the woods. Suddenly you see something from the corner of your eye that makes you jump clear. Next your brain wonders whether there is a snake. Then you study the surroundings with a logical mind, realizing that there was just a stick that resembled a slithering snake. Your brain at its most base function perceived a threat to your mammalian existence. He points out that snakes co-evolved with our ancestor mammals and that snakes preyed on those mammalian ancestors. So fear of snakes is hard wired into us. Your brain recognizes a mammalian threat story line long before the brain decides whether that story is valid or not. This view is backed by Nobel Laureate Daniel Kahneman in his book Thinking Fast and Slow. We have instinctual responses that are lightning fast and logic might come to the party later. It is wrong only if Mom catches you. This is the toddler who runs toward the road. Mom has told the toddler not to go into the road because it is danagerous. The toddler has no sense of danger. He laughs maniacally as he toddles toward the road with Mom in pursuit. It is wrong because Mom said so. This is the older sister explaining to the toddler not to go into the road, because “Mom said so.” The older sister knows to follow Mom’s dictates. The sister does not care “why” the rules exist. She just doesn’t want to be punished and she thinks the rest of the world should follow the dictates, too. It is wrong when the Golden Rule says it’s wrong. This is the level where a person begins to author his own rules of life by extrapolating consequences from imagined scenarios. Morality is a face-to-face experience. It is wrong because the group or legislature mandates it as wrong. This is level where culture and society have a say either through morality or law. Morality and law are based on broad principles previously agreed on. It is wrong because a philosophical principle is violated. This is the level of laws being capable of being wrong. At the previous level, morality or law were the definition of correct behavior. At this new level, morality and law can be flawed where they fail to rise to a higher philosophy’s mandates. I have never seen Peterson comment on Kohlberg’s moral development. Still, I believe that Kohlberg’s system works well with Peterson’s view of stories being a necessary step in moral development. One of the reasons that the toddler runs toward the road is that he has no prior experience with speeding cars crushing bodies. He cannot see that story in his head. Nor is he able to hear the story told and extrapolate its significance to his own safety. Older sister may not be able to relate to the story either or extrapolate its significance, but she has been punished by Mom in the past and seeks to avoid incurring Mom’s wrath again. The older sister can relate to the story or punishment and extrapolate punishment for violations of the dinner table etiquette to punishment for running into the road. Rule abiding is the best means of avoiding punishment. While it may be a stretch to say that the Golden Rule would tells us to stay out of the road, the ability to rehearse a scenario in one’s head and think through the consequences is a commonality to the Golden Rule and other risk-avoiding behaviors. Why would a child who has never interacted with a dog by the age of 5 be afraid of dogs? The child has already developed the ability to imagine scenarios that don’t end well for the child. When we get to morality and legislation, we have a bunch of people debating ideas. What are the most poignant ideas? The ideas that are backed with a memorable, likely emotional story. It allows the listeners to imagine the results they don’t like. They want a general rule put in place to avoid the undesirable outcome. This same story telling and listening ability is further refined in philosophical debates because one learns to change elements of the story and mentally rehearse the outcomes leading to the extrapolation of a general rule. In Peterson’s lectures on stories in his Maps of Meaning lectures, he describes a three-year old having a tea party or playing house. He suggests that the child is not imitating Mom. The child is taking many observation of idealized mom-behavior and using a broader scheme of what it means to be Mom. Don’t ask the child what it means to be a mother; the answer probably will get some parts but miss others. Still, the child can perform the cooking tasks, table setting, dinner ritual, and clean up with near precision. That ability to act out proper roles before being able to articulate the general rules is not unique to the three-year old. It is human behavior in culture and society. When you are driving down the road as a veteran driver of 10 years, you don’t stop at a red light because the law says so. You do it because it is a rehearsed behavior. Do you remember how frightening your first drive was as a teenager? You tried to remember all the rules and actions to perform. You were stressed to the max. As you started to behave based on rehearsed behaviors and less on conscious thought, your driving improved, not deteriorated. Were you a better citizen because you stopped at the red light unconsciously or consciously? Arguably you were more moral when you had to make a conscious thought to stop. Yet, you are arguably a better citizen because you stopped unconsciously as a route behavior; you are likely to stop at all red lights and not create chaos in the intersection. So now we see that morality is a large part of having enough stories in one’s head in order to be able to anticipate the outcome of future behavior. Those stories are often the result of personal experiences. The stories teach the proper behavior the first time. This is the teaching of a moral choice. The success of the proper and moral behavior reinforces the wisdom of that behavior and encourages the repetition of the proper behavior. Eventually proper behavior is burned into one’s normal manner of behavior without conscience thought, resulting in a good citizen. When my then-12-year-old son took a trip with my parents out of the country, Delta Airlines was nice enough to lose my son’s luggage for the entire trip (the luggage got home the day after my son did). My son was frustrated and angry. He texted home with his new phone about all the conflict in his group and with the airlines. I texted him back, “If everything went well, you would have no stories to tell when you get home. Imagine how boring the story, ‘My plane took off smoothly. It landed smoothly. We went through customs smoothly. '” He nearly instantly calmed down and started sending me jokes about the next fiasco. After several high-adventure trips and campouts with things going wrong, he is often the most calm. He will often say to me, “I guess we have a new story to tell,” as he shakes his head. Then this past month, six years later, Delta gave him the privilege of returning home without luggage and his food that he bought on his trip. He was not happy for two weeks, but he had a personal story in his arsenal to allow him to predict likely outcomes. The old story came up several times as jokes and points of comparison. Stephen Heath, our new District Commissioner, taught me that Delta is an acronym: “Don’t Expect Luggage To Arrive.” Was my son more moral as a result? Not likely. He was his normal level-headed self, just disappointed that he could not give the gifts that he had worked hard to find. Was he a better citizen as a result of old story? Probably. He was calm and filled with dark humor, but humor nonetheless. He did not make his family or fellow travellers miserable, but he did not deny the problem existed. So how does this story-mindset fit with scouting and ethical development? How many different ways does scouting give us stories? We have our own personal experiences that we internalize as stories, like my son’s joys with Delta illustrate. We have the stories of past campouts and high adventures that we share with our fellow scouts around the dining hall dinner table or at the campfire. Many of troop’s scouts can tell tales of trips that they were never on. We have the stories of legend and high jinxes that infest the best campfire stories. We don’t explain to the scouts all of the ethical choices that they face. We offer them opportunities to face their own ethical choices and experience an event that becomes part of their own repetoire of stories stored in their head. Who should clean up after dinner? Well, last night we had Joey do it. I remember the last campout I was made to do clean up two nights in a row. I didn’t think it was fair, so we probably should not have Joey do it two nights in a row either. (Applying the Golden Rule based on experience not a recitation of a Biblical quote. A scout-like playing-house exercise.) If Aristotle is correct, anticipating that conflict over excessive assignments of dinner clean up will lead to more happiness, simply because there will be less risk of conflict. So why are 11-year-olds so in need of ethical and moral development? In part, they don’t have enough stories in their head where they are involved with thinking through the consequences of their actions and then having to live through the consequences. Why do they act impulsively? In part, because we all jump instinctually away from the risk of a snake. Only after we train ourselves about the true form of snakes and their likely behavior can we get control over our impulses. See Thinking Fast and Slow. Why does it take adolescents so long to calm their impulsivity? In part, because their brains are wired more like a sociopath than an adult. The other part is being lower on the dominance hierarchy. Teenagers are used to a world where their opinions don’t count, so they feel (correctly) that their are low in the dominance hierarchy controlled by adults. Yet a third part is that their actions are so finely connected to the fast-thinking part of their brains, (see Thinking Fast and Slow) the impulsive portion, that when they have to be still, you can literally watch their muscles vibrate training to restrain more action. I had one future Eagle Scout who demonstrated this to me a car ride to Ransburg. When I told him to quit talking or singing, he literally shook the van as we drove down the highway. A couple years later, we went to the Boundary Waters together. He was still impulsive, but had gained far more control. Scouting works, not because it short circuits these normal development phases. Scouting works, because it gives the scouts progressively more difficult challenges that add to the repetoire of stories that they can use in actions and decision making. It is why Secretary of State Rex Tillerson, Distinguished Eagle Scout, former Chair of ExxonMobile and former president of the BSA, has said that everything he needed to know about leadership, he learned in Boy Scouts. We, as adult scout leaders and mentors, can improve our packs, troops, and crews by learning about these psychological and mental developments. It will help us identify youth’s issues at the moment and how to ask better questions in prompting greater self-reflection and impact on others. Scouts makes great citizens because we give them a chance to see bad citizenship in the woods (e.g., KP two nights in row) and reflect deeply on the consequences to the group. Peterson suggests that pursuing happiness (implying Aristotle’s definition of ethical behavior) is the process of removing conflict and misery from one’s life and those nearby. The outdoors and tents can offer a lot of misery. Making the removal of misery a conscious choice for scouters to teach scouts is a worthy goal. This habit of seeing things from the other fellow’s point of view can be developed in outdoor games where fair play is essential, whether it is in “Flag Raiding” or “Dispatch Running.” During the game the strictest rules are observed which mean self-restraint and good temper on the part of the players, and at the end it is the proper form that the victor should sympathise with the one who is conquered, and that the opponent should be the first to cheer and congratulate the winner. This should be made the practice until it becomes the habit. Aids to Scoutmastership (1921), “Chivalry and Fair Play.” Repeating the moral behavior until it is a habit is the development of good citizenship. According to legend, Michelango was asked how he could carve the statue of David with such great detail. Michelangeo reported that he simply removed all of the marble that was not David until the final image of David was fully disclosed. In some part, our process of making ethical scouts and good citizens is helping the scouts remove the misery in their life and teach them how to identify the misery in others’ lives near them in a consistent manner. Only after removing misery, proper, ethical behavior is all that remains of the scout’s actions. Then the scouts can become the Michelangos of their own lives. This entry was posted in Adult Education, Boy Scout, Camping & Outdoor Programming, Character Building, Cub Scouts, Girls in the BSA, High Adventure, News, Scouts in Society-at-Large, Why scouting?.